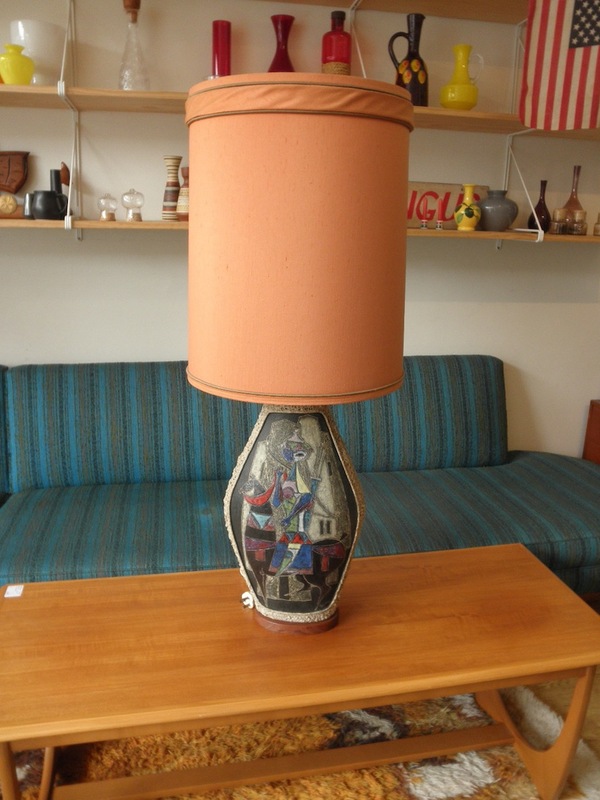 This rare huge Fantoni lamp circa 1950s is in perfect condition, it has an amazing modern art design with a lady on horseback in polychrome glazes, a lava finished main body and mounted on a walnut footing. It is signed and has a period shade or we can arrange for a replacement in your choice of colour if needed. 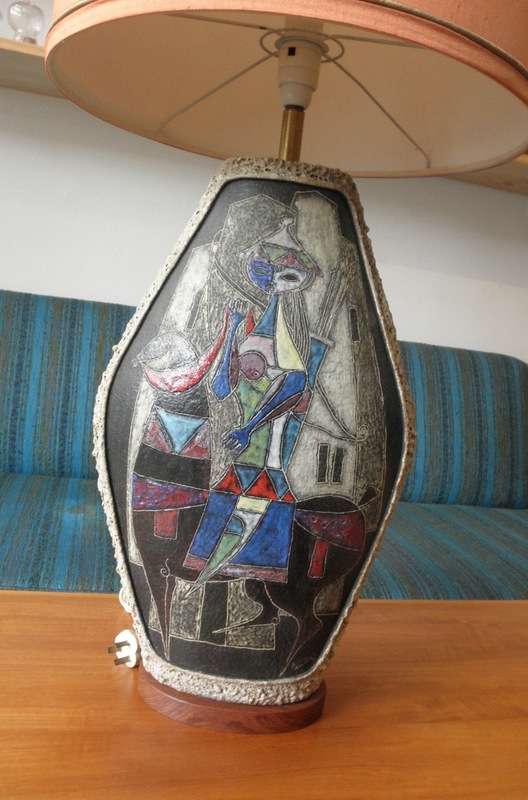 Marcello Fantoni was one of the great mid century Italian ceramicists working for many of the best firms such as Bitossi Raymor as well as a studio ceramicist and is held in many international collections. 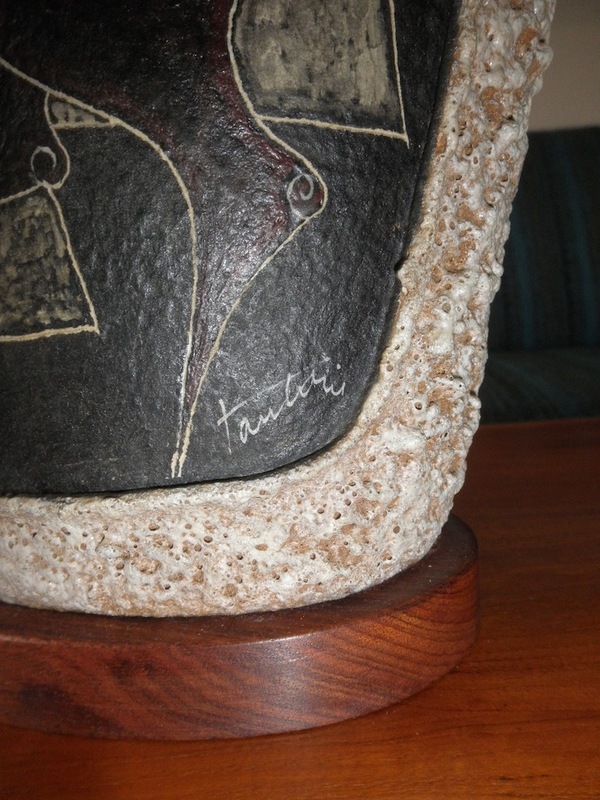 This piece is museum quality and rarely found in Australia.